Last week most of the world was expecting a chaotic, but unavoidable Greek exit from the Euro, but following more final, final negotiations a deal was ultimately hammered out between Greece and it’s creditors. A quick glance over much of the media shows that many view the new bailout as a temporary reprieve at best, and an extension of a cruel policy at worst. Greece gets more debt, more austerity and zero concessions from Europe. Greece has proven to be a needless problem for much of Europe, but one that has highlighted many of Europe’s fundamental weaknesses. Greece may have navigated itself into this mess, but it isn’t unreasonable to expect that solutions to Greece’s problems eventually look like, well, solutions. In short Greece needs one of three things. Either to be treated like a fundamentally poor state requiring transfer payments from the rest of Europe (unacceptable to Germany), relief in the form of debt forgiveness (unacceptable to the ECB, Germany and the IMF), or to exit the euro and revert to the drachma (unacceptable to Greece). Notably none of these options has been pursued. Instead the status quo has been maintained to nobody’s satisfaction. The Greek government is outraged that the deal is effectively worse than the one they rejected. 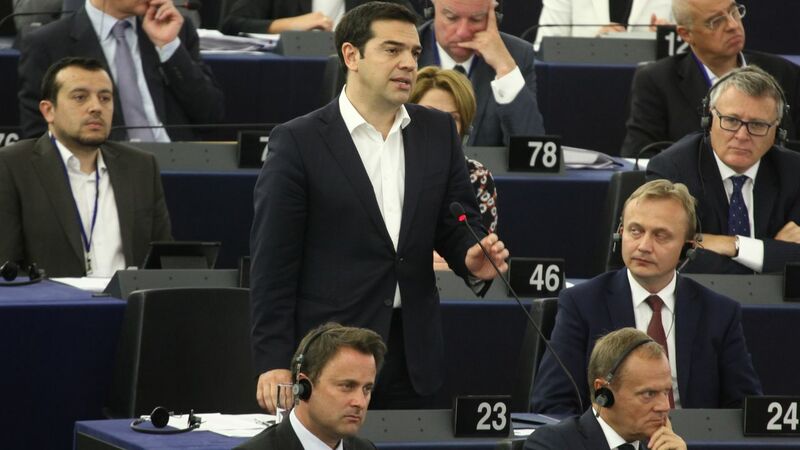 Most of Europe is upset at how poorly the negotiations were handled by both sides, and the brash and ultimately useless Alex Tsipras has ultimately failed in getting any of the concessions he thought he might secure through his brinkmanship. There is some light at the end of the tunnel however. There is now some hope for debt forgiveness in the future. And if Greece hits its austerity and reform targets there may be continued relief on both interest rates for existing debt and the opportunity to push the payment dates farther out into the future. While this may signal some progress, the problems that underlie the Greek crisis still exist across Europe. Those problems have everything to do with Europe’s loose federation and shared currency. I recommend the above video to quickly explain the inherent problems within the euro. But for now it looks as though the only winner in all this is the integrated EU zone. Once again it seems that the decisions made were about protecting the European experiment, even as that experiment makes matters worse for Europeans. That raises questions again about what the point of the EU is if not to improve people’s lives.